Fabric modesty panel is designed to add privacy to the Safco 72" Rumba Tables and features contours to complement the Rumba legs (sold separately). Rumba tables (sold separately) let you configure your conference room, training area, meeting spaces and other gathering areas easily and in style. 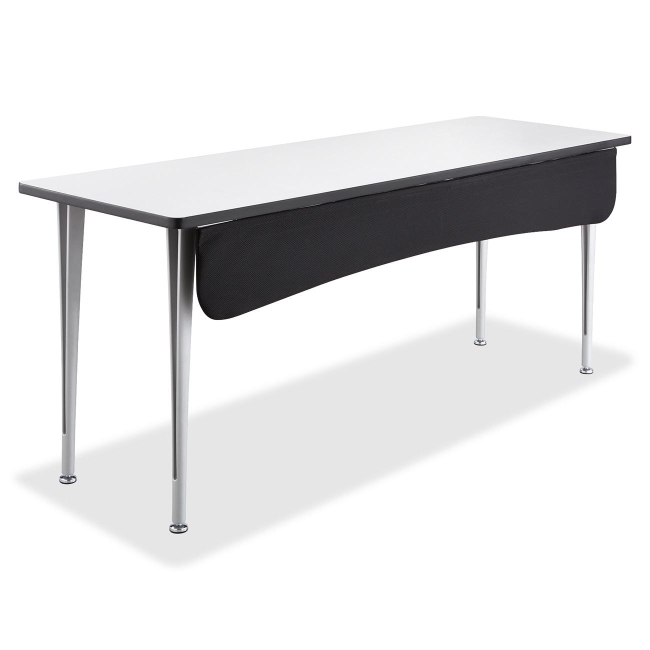 The attractive, Pull-Down Fabric Modesty Panel easily attaches to the underside of T-Leg Rumba tables. Use the included mounting hardware to screw the modesty panel into underside of tabletop (sold separately). This stationery panel features a tubular steel frame covered with mesh fabric.